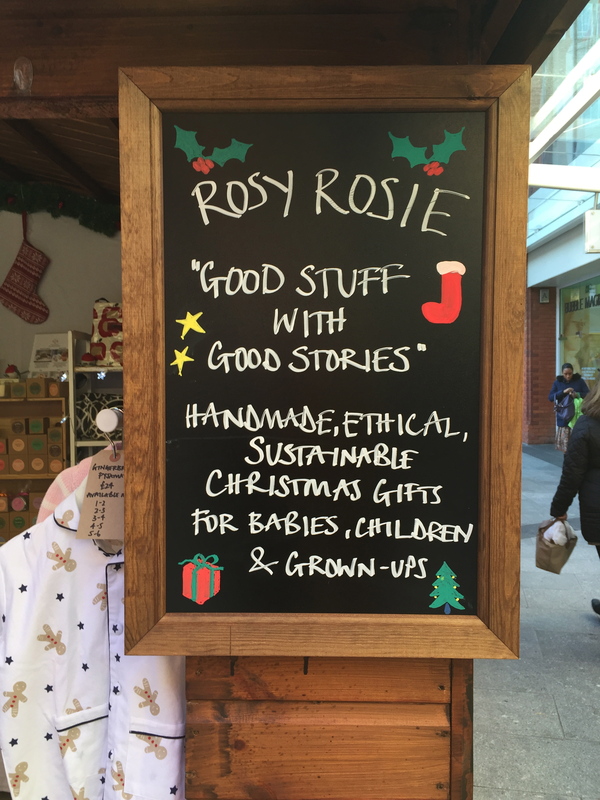 The Rosy Rosie Pop-Up is now closed as we have finished all our events for 2016. We do love meeting all our customers both existing and new at all our events and we will look forward to being back out ‘on the road’ next year! 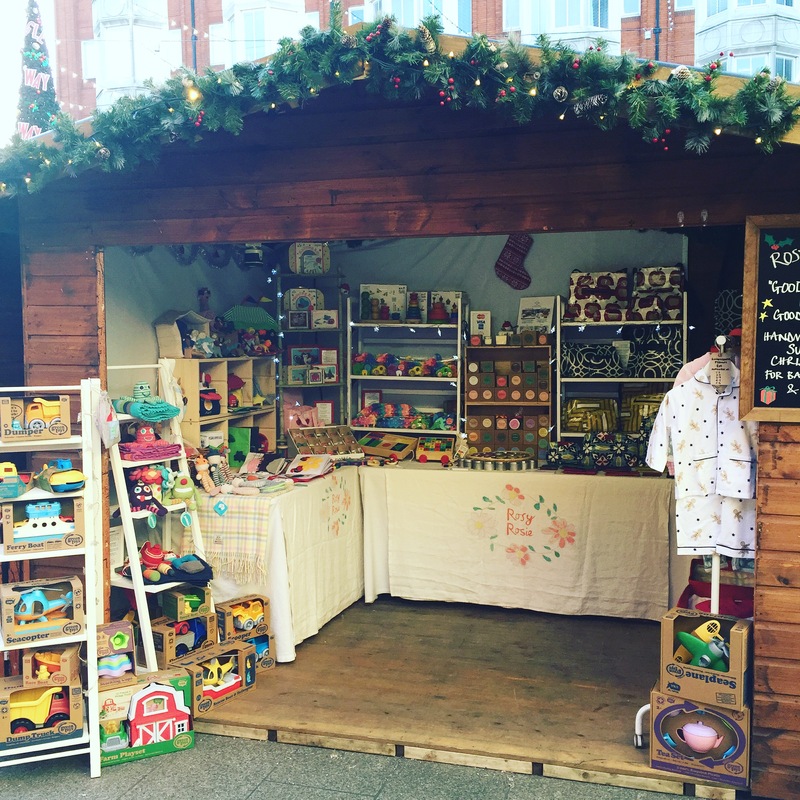 Our last event of the year was at the Ealing Christmas Market – organised by Eat Me Drink Me – and we were in a wooden cabin for the whole week. It was lots of fun decorating our home form home in fact we took a little video of the stall…check it out! Luckily we were totally lucky with dry weather all week – it was fresh (ok downright cold sometimes!) but the sun came out most days and it was beautiful. People often ask me how one stays warm for outside events. Well I recommend lost of thin layers for trapping heat – I think on a few days I had nine! Also some thick soled shoes both for comfort and warmth – plus some cardboard or matting on which to stand. I wear fingerless mittens over which you can pull bigger gloves, a good hat, a thermos or ribena, plenty of cake and finally a positive attitude!! 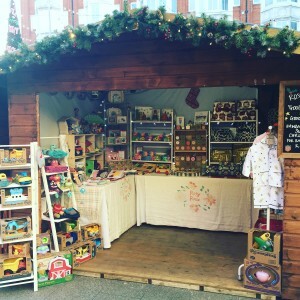 Anyway – whilst the stall might be closed – Rosy Rosie certainly is not. We are still working hard to deliver online orders and will be until Wednesday 21st December. So please do get your Christmas orders in! 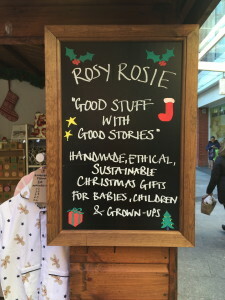 This entry was posted in Christmas Ideas, Events, Everything, What's new and tagged Christmas Shopping, ealing, ealing broadway, ealing christmas market, eat me drink me, Gifts, good stuff with good stories, Rosy Rosie PopUp, Rosy Rosie stall, Rosy Rosie Website, video of rosy rosie. Bookmark the permalink.